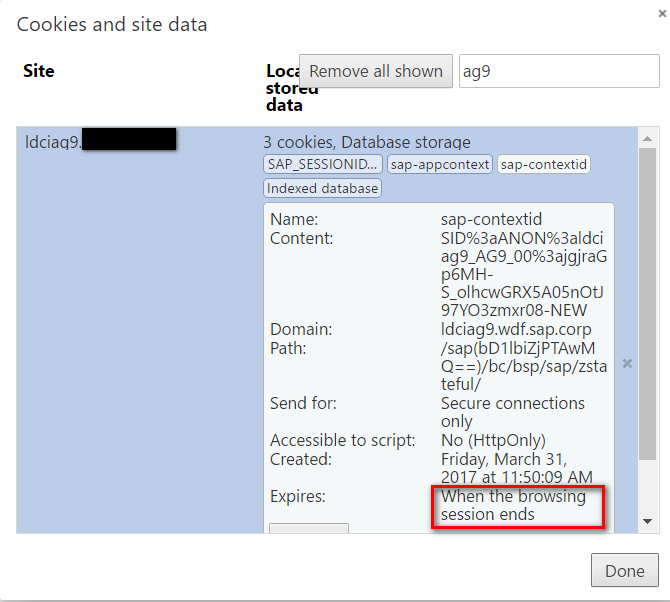 In previous blog Fiori and CRM WebClient UI – Stateless and Stateful, but how? I have researched how stateful and stateless BSP application are handled in ABAP server side. In this blog I will explain how stateful and stateless BSP application behave differently. It consists of three files. WAIT UP TO 3 SECONDS. "message":"First page wait 3 seconds"
Here I use WAIT keyword to simulate that it will take 3 seconds for the first request to finish. In this html file, I fire two requests to fetch “first.json” and “second.json” one by one. The first request is sent before second request. "message":"Second page no wait to response"
1. Launch index.html, and in Chrome development tool you can see there are three “set-cookie” in Response Header fields. One of them, the sap-contextid is set in method ON_REQUEST_LEAVE of CL_BSP_RUNTIME explained in previous blog. 2. click button “Fire two request”, and in console we can observe that these two requests are handled sequentially in server: the response of first request still comes first before the response of second request. This could also be confirmed in the Network tab. The first request takes totally 3 seconds to finish. During the wait of this 3 seconds, the process of second request is pending till the first request finishes. As a result finally both request takes around 3 seconds to get handled. sap-contextid is not there. 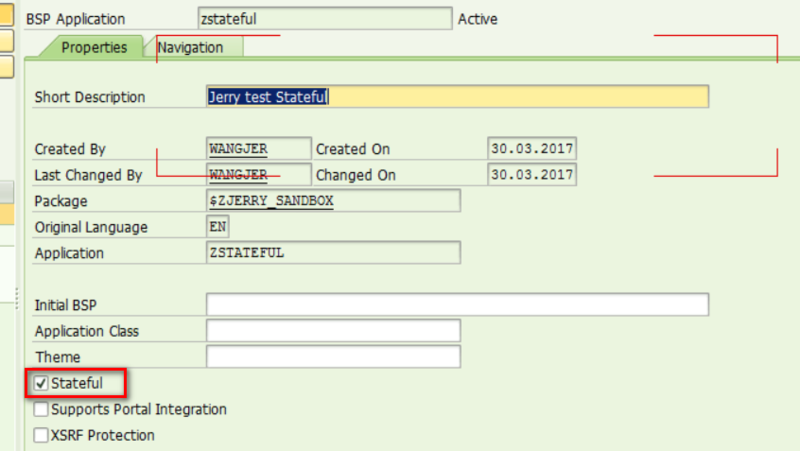 This observation is consistent with what I found in blog Fiori and CRM WebClient UI – Stateless and Stateful, but how?, as it will only be set in stateful application. Click fire button, and we can find in stateless application, these two requests are handled by server in parallel: the response of second request is now coming first before the response of first request. In Network tab, once fire button is clicked, the second request gets processed almost immediately, and the first request still has status “Pending”. sap-contextid is not involved in the request & response handling. It’s nice to see some cool blogs about BSP. It’s declared several times as not recommended UI, but I really liked it when I worked with it, because of its open framework. how can BSP technology be declared as “not recommended UI”. Where did you read that? Basically all SAP UI Frameworks (CRM, Fiori, Web Dynpro) make use of BSP technology behind the curtain. So I think SAP still trusts their old framework 🙂. Now it’s difficult to find the source, but I clearly remember, when WebDynpro for ABAP was released, SAP was saying that WebDynpro is the recommended UI technology instead of BSP. Meanwhile there are Fiori and UI5, which are the new recommended way. The ICM framework is the same for BSP and Webdynpro, but the development framework and the approach is different.